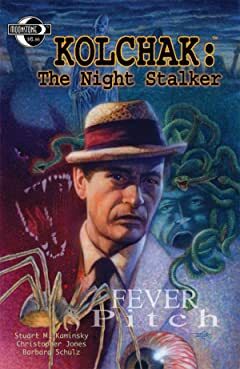 Yes, after thirty years, it's finally time for the first meeting between Carl Kolchak, the Nightstalker, and the black and evil horror which is the Cthulhu Mythos, HP Lovecraft's enduring world of gods and monsters! 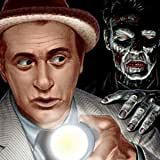 Carl Kolchak has seen it all, from vampires and zombies to witches, ghosts, and even the minions of Hell, itself. By rights, nothing should shake this indominable reporter anymore. 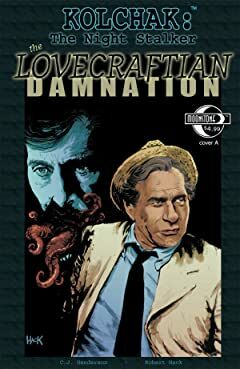 But, when he starts to follow the trail begun by the photographing of a strange sea creature, one more reminiscent of the creature from the black lagoon than a shark or tuna, he suddenly finds himself being drawn into a nightmare world so fantastic, so utterly alien and frighteningly dark that even his massive psychic defenses begin to crumble. 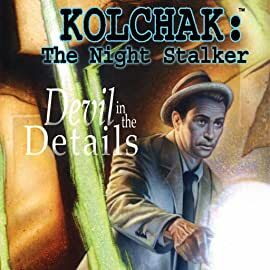 For once, Kolchak isn't just following a story; he isn't merely uncovering yet another monster a step or two up from a serial killer. 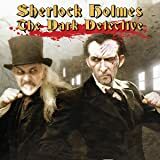 This time he's crossing the threshold into another reality, one which could possibly destroy both his mind, and the entire world! 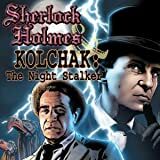 Night stalking reporter Carl Kolchak doesn't have time for horror movies. 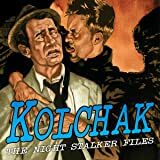 His life is scary enough - and now he's between jobs and desperate for a paycheck. 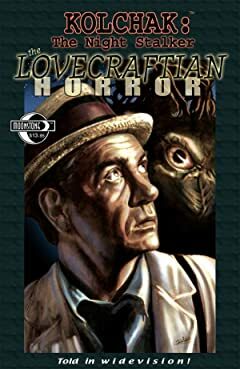 But when a young actress goes missing on the set of a low-budget monster flick, he soon discovers that making it big in Hollywood can be murder! 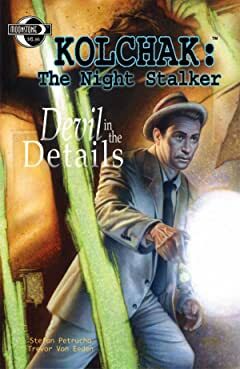 Covers by Woodrow Hinton III and Mark Maddox.